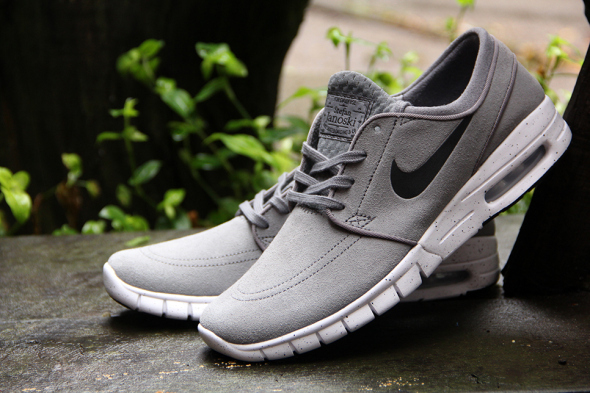 The latest Stefan Janoski Nike SB Max arrives in two clean suede colorways. Designed for lifestyle wear, the Janoski Max combines the upper of the popular Janoski SB skate shoe with the flexibility of a Nike Free model, and support of a Max Air unit. A combination that at first might sound a bit out of place, the Janoksi Max has seen a variety of colorways in 2014, with these final two color options capping of the new year. You can purchase a pair today from Nike for a retail price of $110 here. ← New Balance 1500 Limited Edition "Urban Exploration"